Link Global are perfectly placed to handle your Belgium contractor accounting. Structure your work arrangements with confidence using our internationally renowned accounting solutions. From early planning advice to emergency payroll for imminent work, and every step in between, Link Global provides expert contractor accounting solutions for Belgium and worldwide. Link Global Management are perfectly placed to handle your Belgium contractor accounting. Structure your work arrangements with confidence using our internationally renowned accounting solutions. From early planning advice to emergency payroll for imminent work, and every step in between, Link Global Management provides expert contractor accounting solutions for Belgium and worldwide. C permit: valid for all professions and all employers, renewed each year. B permit: valid for one employer and renewable after one year. A permit: allows you to work for any employer in Belgium for an unlimited period of time. (The B permit is the standard one for most foreigners.) Applying for a B permit is the responsibility of the employer wishing to hire a non-EU foreigner. 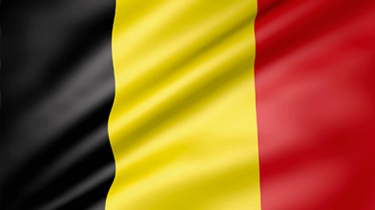 Whether you need a visa to enter Belgium depends on: nationality, length of intended stay and the reason for your stay. Nationals of EU countries don’t need a visa. You’re subject to registration requirements if staying longer than 90 days. Nationals of other countries may or may not be subject to visa requirements so visit the FPS Foreign Affairs website. If you’re going to Belgium for employment and aren’t from the EU, your prospective employer must apply for a work permit first. They pay a lower total % than salaried persons, though less sectors are covered by the fund. But, self-employed individuals can pay more to cover themselves. Self-employed workers pay quarterly contributions towards their social security. These range from a maximum of 22% of income, and downward as earnings increase.